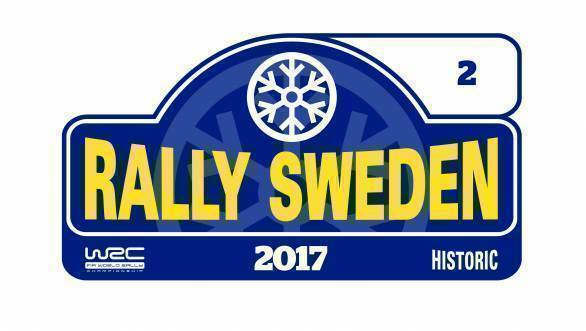 Second round of the 2017 FIA World Rally Championship is the Swedish Rally (10-12 February). Although officially based as usual at Karlstad, there is a change of location of the rally's epicentre, this time to be at Torsby which is about 100km to the north west of Karlstad, not Hagfors. In fact, after the ceremonial start the rally is due to return to the Karlstad region late Saturday afternoon for a second super special stage before returning to Torsby for overnight parc ferme. Once again this will be a cross-border event, with two stage venues and the majority of a third in Norway. The move to Torsby has created difficulties with accommodation, with teams placing most of their crews at Sunne, 40km south of Torsby. This year the very bumpy publicity stage at Kirkaener is not being used, replaced by a new orthodox stage venue called Hof-Finnskog, each Norwegian stage used twice on the full opening day of the rally. In the hope of finding better traditional wintry weather conditions, there is a renewed concentration of stages further away from Karlstad, with virtually no special stages outside lines to the east or south of the Hagfors area. So Friday is Norway day, Saturday's stages are based between Torsby and Hagfors and Sunday's route uses two runs over the northerly Likenas stage with the Power Stage close to the finish at Torsby. In conjunction with the WRC event, there is a supporting rally for historic cars which will run over seven of the WRC stages run between the two runs made by WRC competitors. Special change this year is no specific limit of days when teams could test their cars in Sweden. The days used for Sweden testing this year simply comes out of their annual testing allocation meaning that the teams have been testing for longer periods in Sweden than in previous years. Main technical curiosity is how the extra power of the engines of the 2017 cars will affect the tyre and stud wear, especially if the stages will be more frozen than snowy, as is forecast for the region of the stages. The WRC car tyres for this event are the same specification as those for the 2016 Swedish Rally. And how the design of the aero parts in the front of the cars will react should there be heavy falls of snow. A curiosity is that the organisers are still promoting the unofficial competition between drivers as to the lengths of the "Colin Crest" jump at the Vargasen stage, notwithstanding that rally car designers take a lot of trouble trying to keep the wheels of their cars on the ground!